Mr Mazvabo was born on 6 July 1941 in Mashonaland, Zimbabwe (Rhodesia, as it then was) and subsequently became a pupil at the John Tallach Secondary School at Ingwenya. While there the preaching of the Word and the teaching of Scripture were blessed to him, in so far as to bring him under spiritual concern for his soul. He returned to Mashonaland and in time found work as a Government teacher in a school near his home. He kept up family worship regularly in his home and, on one such occasion, he was reading Matthew 5.20: “Except your righteousness shall exceed the righteousness of the scribes and Pharisees, ye shall in no case enter into the kingdom of heaven”. He told Mr J van Woerden, for whom he worked for some time thereafter, that these words brought light to his soul and that he got, as it were, a whole sermon on the righteousness of Christ in a flash. He rose from his knees after the final prayer of that worship a new creature in Christ Jesus. Mr Mazvabo moved to Bulawayo and into full-time employment in Mr van Woerden’s organisation, Ebenezer Scripture Mission (ESM), where he was initially involved in translating English tracts into Shona. Later he worked in adult literacy and Scripture correspondence lessons. The adult literacy course followed a scheme of Dr Laubach (1884-1970), who used Scripture as the basis of his course and thus conveyed the main facts of the gospel while teaching adults to read. ESM organised Scripture correspondence lessons among children in different parts of the country and the tests set for these children were corrected by Mr and Mrs Mazvabo. Thoughts of setting up a children’s home in Bulawayo were raised when ESM found a little Tonga girl of about 6 years of age who had TB, was far from her people and had no relative to take responsibility for her. Probably her relatives were afraid that she had been possessed by an evil spirit and wanted nothing more to do with her. Mr Mazvabo was among the small group who began the work, which eventuated in the building of Thembiso Home for children in Bulawayo in the late 1960s. Subsequently Mr Mazvabo became a social worker in that city and an elder in the Free Presbyterian congregation in Bulawayo, while Rev D A Ross was missionary there. 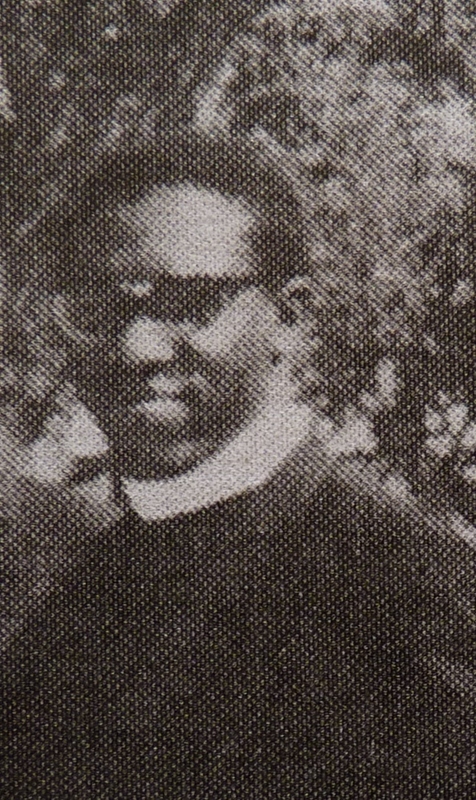 Mr Mazvabo was received as a student for the ministry by the Zimbabwe Presbytery in 1980, along with Mr Alfred Mpofu. “If a man desire the office of a bishop, he desireth a good work” (1 Tim 3:1). Mr Mpofu and Mr Mazvabo were sent to Scotland for tuition under Rev D MacLean, Glasgow. Mr Z Mazvabo was ordained and inducted to the mission station in Zvishavane in August 1981. He began work at New Canaan. As years went by, the Lord was pleased to bless the work, and more preaching stations were opened – of which, to date, there are 10. By God’s grace, Mr Mazvabo’s duties were carried on despite a progressive eye condition which rendered him almost blind and, latterly, diabetes and hypertension. The Lord assisted him in carrying out his duties, though at times he was laid aside because of failing health. The abiding impression was that here was a worker who loved the Word for himself, before preaching it to others. He laboured tirelessly, with the help of his elders, to sow the good seed. His contributions in the Presbytery, Session and in both Field and Sub Committee meetings were consistently valuable. Mr Mazvabo was a competent man in his work, sound in his teaching, open to truth, having a welcoming spirit to all. His end came quickly and he passed away in a hospital in Harare on 17 April 2012 and was laid to rest at his home, Mberengwa, Chiedza. His passing from time to eternity is not only a loss to his family and to the congregations in which he served, but to our Church as a whole. Our loss is his gain. He will be sadly missed, and we commend his widow, a help-meet through many difficulties, and his children to the God of all grace and the Father of all mercy. It is our sincere hope and prayer that the Lord in His kindness will raise up other men to fill such vacant places and to continue that blessed work of sowing the good seed of the Word. His funeral from the church in Chiedza was attended by a large gathering, which was a reflection of how highly he was thought of as a person. He has entered the eternal rest of the Lord’s people. “Precious in the sight of the Lord is the death of His saints” (Ps 116:15).